Departures explores the relationship between nature, old traditions and new futures. Set within the context of a futuristic transit lounge, Departures is an installation of handmade objects. Departures is a collaborative exhibition of new works by Melbourne based designer makers, Eugenie Kawabata, Marc Pascal, Yan Huang and Ilan El. Departures explores ways in which design shapes our experience of object culture. It links our desires to connect with the natural environment, the traditions of making, and the tactility of the practice to new and future possibilities. It seeks to find ways to make an awareness of how design impacts upon urban life and culture. 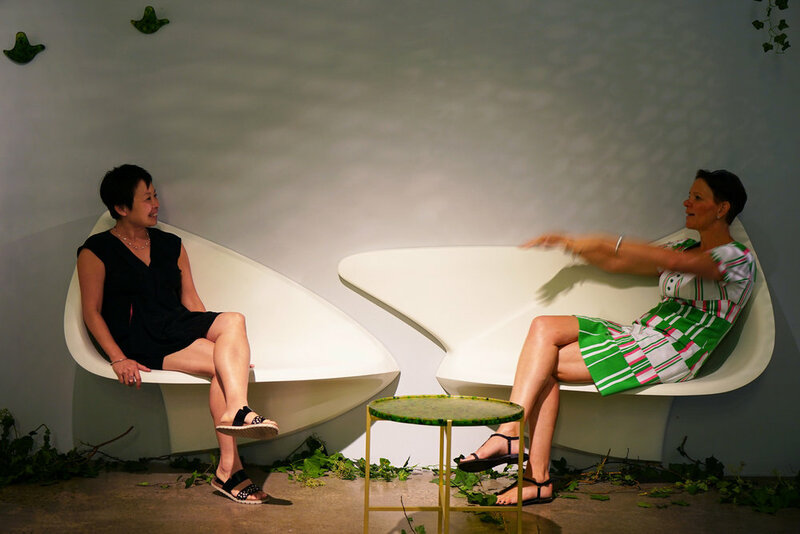 This was part of Melbourne Design Week 2017, an initiative by Creative Victoria in partnership with NGV.